Sculptra is used to restore volume in the aging and athletic face. 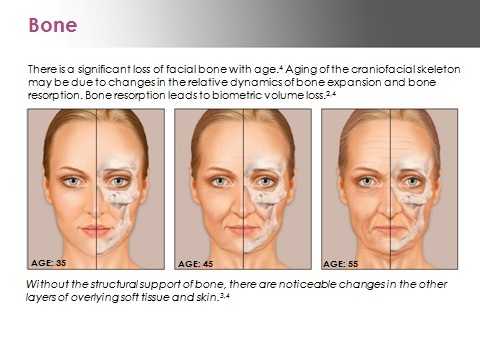 As seen below, fat and bone (particularly around the eye and jaw area) are lost as we age. Sculptra is injected into the areas of fat and bone loss. Restoring lost volume with Sculptra will result in a more youthful appearance and fill a "deflated" face, tightening sagging skin. 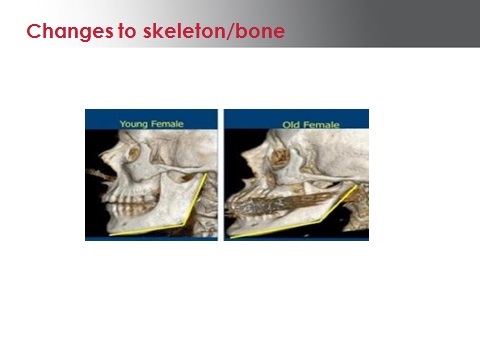 A facelift without volume restoration will only look like stretched skin over a skeleton. Instead of trying to fill a line as done with dermal fillers, Sculptra is used more globally on the face to get to complete facial restoration. Is Sculptra a natural substance? The ingredients of Sculptra are natural occurring in your body. It is a sugar (lactic acid) which is eventually broken down to CO2 and water. Even better, these substances stimulate your own body's collagen to create a very long lasting result even after the original Sculptra has been degraded by the body. Studies show that the results from Sculptra can last 2-3 years or more. The collagen which is produced can last 7 years or longer. It's the natural aging process which leads to the need for touch ups at 1-2 year intervals. Sculptra is injected in many more areas than usual fillers. 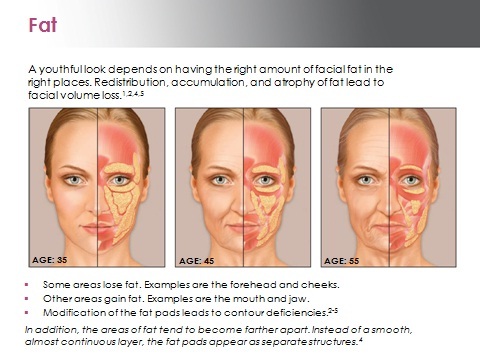 It's goal is to create a volumized face and just not go after a wrinkle or two. Typical areas injected are the temples, mid and upper cheek, the depression in front of the ears and lower cheek, jawline, marionette and chin area, and the upper smile line near the nose. It is not used near the eye or mouth area. It is injected in a series of 2-3 treatments, separated by at least 6 weeks. You will see immediate results from the injection which will go back to your baseline in 24-48 hours. Gradually over the next 6 weeks, you will stimulate collagen and your body will create the natural correction. Remember, full correction usually takes about 3 treatments (4-6 vials). I have heard that Sculptra can cause bumps or nodules, is this true? Sculptra has evolved over the years. It has now been FDA approved for 10 years. In the early years, there were problems with nodules. This was due to several factors. First, the concentration of Sculptra was 3 times what it is today. (You are still getting the same amount of Sculptra today, just in a more dilute suspension). Second, experience has shown that injecting around the eyes and mouth has a much higher incidence of nodules, so those areas are no longer injected. Third, wherever possible, the injections are being done deeply, along the bone, so as to minimize visible nodules. Fourth, all clients are instructed to massage the treated areas, 5 times a day, which smooths out the Sculptra. At this point, the risk of nodules is similar as to any other filler on the market (Restylane, Juvederm). Lastly, the Sculptra use to be mixed up the night before, but now it is mixed days or even weeks before to ensure an even solution of Sculptra.